Pursuing your dreams and working on something that you believe in is exciting. You have the chance to do work you’re passionate about, and access to tangible professional growth. But with these great opportunities often come long hours, tight deadlines, and rapidly changing work demands. 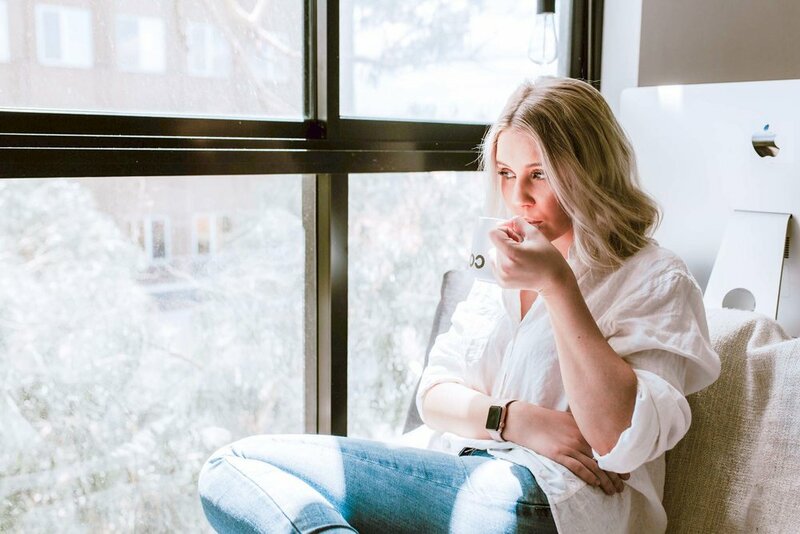 In the fast-paced startup and entrepreneurial world, it’s often hard to pause or find time for self care, and if you put off those personal needs for too long, you could be headed towards burnout! Some days you might be able to enjoy a 90-minute hot yoga class, while other days you’re lucky to squeeze in a 5-minute meditation. Both are worthwhile, and both will give you some benefit! Set your phone timer for anywhere from 5 to 45 minutes, and let yourself relax and connect with nature for the duration of the timer. Pay special attention to the sights and sounds outside. Whether it’s a quick phone call to vent to your support crew (hi, Mom!) or some mindful stretches to unwind after a stressful meeting, scheduling time for self-care will help keep it a top priority. Keep a cute pic of your puppy out, or frame an inspiring quote from your personal shero to hang above your desk. Let these small-but-powerful reminders center you, and keep you returning to your best self. It’s easy to be your own harshest critic, but there’s a limit to how constructive said criticism is. If you make a mistake at work, rather than immediately berating yourself for it, take a figurative step back – and speak to yourself the same way you would to a colleague in that situation. Giving yourself this respect will help you to see your work errors in a more objective light, and remedy them without the negative self-talk. Want to take step further and address communications outside your mind, too? Here are some common communication problems women in the workplace face and how to overcome them. In the fast-paced flurry of working life, we often forget to congratulate ourselves on our accomplishments. Every week or so, give yourself the space and time to acknowledge your contributions and own your successes. Distress is your body’s way of telling you it’s time to relax, and take care of yourself. Listen for internal signs of stress, and treat them accordingly. Anxiety or worry: You may be frequently preoccupied or find your thoughts racing and experience feelings of anxiety. Feeling overwhelmed: Stress can make you feel like you’re not able to manage all of your life’s demands. Here are some ways to cope with feelings of overwhelm. Conflicts with friends, family, and colleagues: You may be irritable and less patient with others. Physical symptoms: Stress often comes with physical symptoms including muscle tension, headaches, and digestive troubles. Difficulty sleeping: You might have trouble falling asleep or wake up feeling unrested. Meditation is widely reputed as a stress-buster, and with good reason: One study of over 3,000 adults showed it lived up to this reputation. Early morning is typically regarded as the best time for meditation, but if you’re really squeezed for time, do it at your desk! Here’s how to fit meditation into your 9-5. Have a good talk with your friends or colleagues to see if they have any tips for self-care. If you’re considering therapy, use Zencare to browse therapists in New York City, Rhode Island, and Boston. A note for managers and company leaders: Lead by example! If you make your own mental health and self-care a priority, your employees will feel empowered to focus on their own needs, too. This will have a positive overall impact on the workplace and your growing company. Here are five ways managers can improve mental health for their employees. Katie is a Licensed Clinical Social Worker in Brooklyn, NY. She previously worked at the Pentagon and university counseling centers, and is passionate about increasing access high quality therapy.